Antonio and Natividad Ramos — Tina's parents — at La Borinqueña in 1977. Earlier this month we got the sad news that the owners of La Borinqueña Mex-icatessen & Specialty Shop (582 7th St.), a family-run institution in Old Oakland for 71 years, has decided to call it quits. La Borinqueña, while specializes in tamales, will have its last day of business on Friday, July 31 — a date that will mark the end not only of a beloved restaurant, but also of one of the last connections to what had been a thriving Latino barrio in Old Oakland. Tina “Tamale” Ramos, granddaughter of the original owners and the public face of the business for much of the past decade, explained the family simply felt it was time to retire. Her sister, Isabel Esquivel, had been working at the shop since she was six years old — she just turned 65. Ramos closed her new restaurant, La Snackeria, in June so she could have more time to take care of her mother, Natividad, who had fallen ill. When La Borinqueña shuts its doors at the end of the month, Ramos’s affiliated (and perhaps, in recent years, more well known) business, Tina Tamale — a tamale food truck and catering business — will also close. For many customers, the tamales themselves will be big enough a loss. On July 31, when the batch of tamales is pulled out of the steamer, and the final bag of chips is sold, it will mark the end of an era — not just for the restaurant, but for a much-forgotten chapter of Oakland history. When Rosa and Adriano Velasquez, Ramos’s grandparents, opened La Borinqueña in 1944, initially as a corner grocery store, it was one of a handful of Latino-owned food businesses in a section of Old Oakland, centered on 7th Street, that was mostly populated by Mexican immigrants — Fruitvale before there was Fruitvale, if you will. It wasn’t until two highways came through, starting in the Fifties, that large swaths of the area’s Latino population were displaced, with much of the community relocating to East Oakland. “It’s that old story of immigrant neighborhoods being destroyed in the name of progress,” Ramos said. Through all of those transitions, La Borinqueña stayed firmly planted, adapting its business model to become more of a cafeteria-style restaurant than a grocery store once it became clear that most of the area’s Latino home cooks had moved elsewhere. Today, Oakland’s Mexican-American community, concentrated in the Fruitvale district rather than on Seventh Street, seems as vibrant as it has ever been. Still, it’s sad to think that such an important piece of local history already feels like it’s been forgotten. Now, with La Borinqueña’s departure from the neighborhood, the only old-school Mexican restaurant left standing in Old Oakland is Mexicali Rose. The rest is little more than fleeting shadows and lingering memories: La Estrella, a Spanish-language movie theater that played mostly Mexican films, shut down in the Sixties. 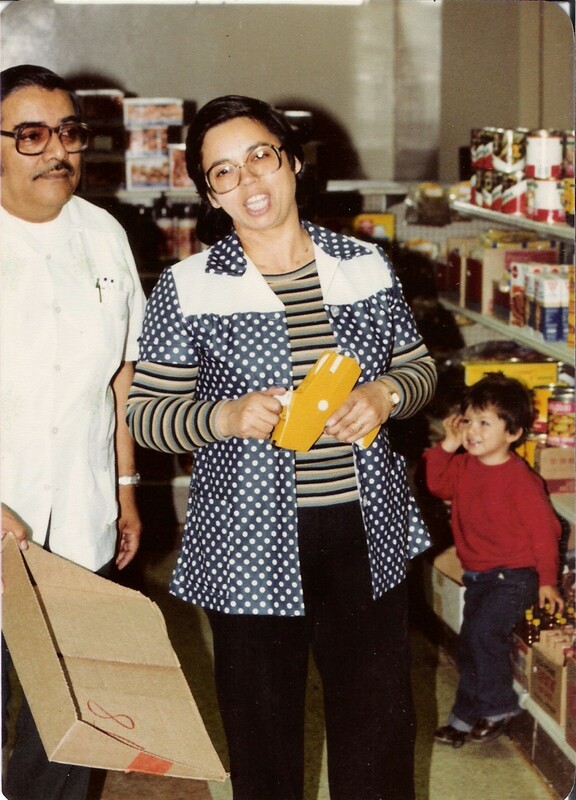 Mi Rancho, a grocery store and tortillería, eventually evolved into a large-scale wholesale operation and moved to San Leandro. 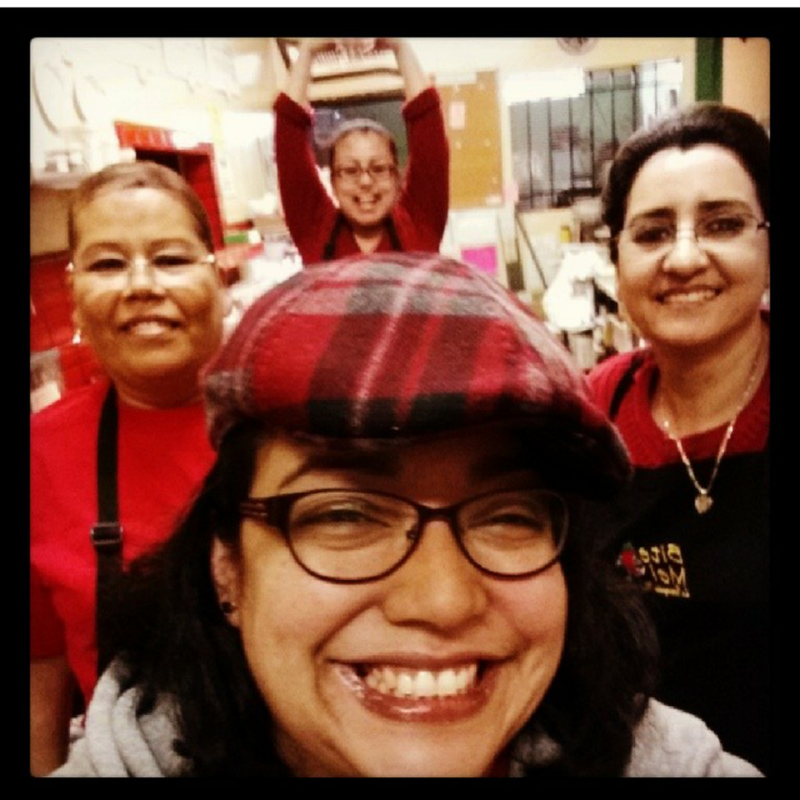 Tina "Tamale" Ramos (front-center) with the La Borinqueña staff. It’s no surprise, then, that, for Ramos, the last days of La Borinqueña are proving to be bittersweet. Bitter because the business that four generations of her family have nurtured for 71 years will soon cease to exist — and with it, one of the last vestiges of that old 7th Street barrio. But sweet because retirement, when it comes mostly on your own terms, is a lot better than the alternative. Ramos, who is only 46, said she’s looking forward to figuring out what new opportunity she’s going to tackle next. And sweet, too, because of the outpouring of support the Ramos family has received in the days since they made the announcement. Ramos told me she wasn’t sure yet whether she would organize some kind of celebration or commemoration on that final Friday, but she said that ever since she announced the retirement, every day has felt like a special occasion — “like Christmas in July.” It isn’t just that customers are placing huge orders of tamales on a scale that rivals the winter holiday rush — though that has happened, with customers hatching plans to freeze the husk-wrapped delicacies to savor slowly in the coming Borinqueña-less months and years. Even better, though, are all the longtime customers who have stopped by to pay their last respects — in many cases folks whom Ramos hasn’t seen in years, and whose connection to the shop goes back as long as fifty years, across multiple generations. Everyone is eager to share a memory. For now, that seems like commemoration enough.